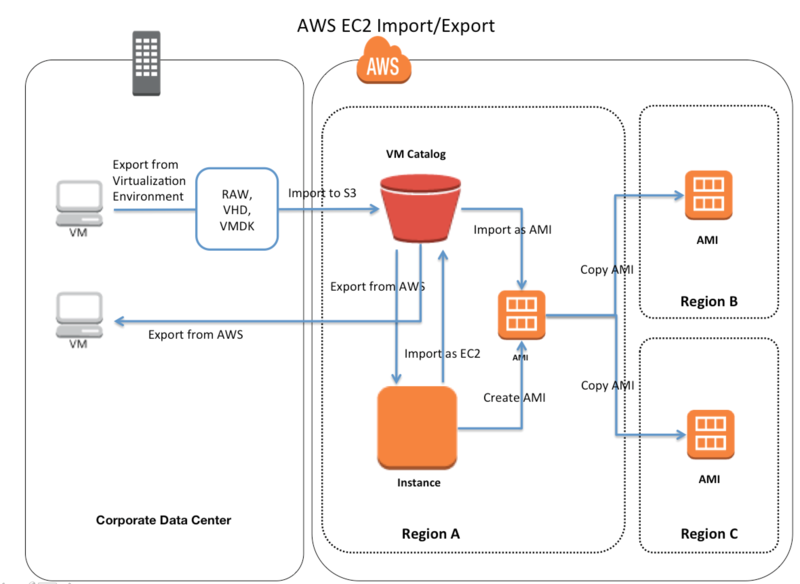 to leverage previous investments in building VMs by migrating your VMs to EC2. ability to import disks as Amazon EBS snapshots. You are responsible for a legacy web application whose server environment is approaching end of life. 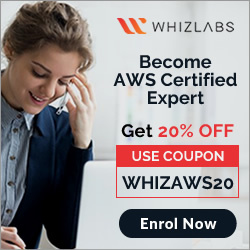 You would like to migrate this application to AWS as quickly as possible, since the application environment currently has the following limitations: The VM’s single 10GB VMDK is almost full. The virtual network interface still uses the 10Mbps driver, which leaves your 100Mbps WAN connection completely underutilized. It is currently running on a highly customized Windows VM within a VMware environment: You do not have the installation media. This is a mission critical application with an RTO (Recovery Time Objective) of 8 hours. RPO (Recovery Point Objective) of 1 hour. How could you best migrate this application to AWS while meeting your business continuity requirements? Use S3 to create a backup of the VM and restore the data into EC2. Status monitoring help quickly determine whether EC2 has detected any problems that might prevent instances from running applications. EC2 performs automated checks on every running EC2 instance to identify hardware and software issues. Status checks are performed every minute and each returns a pass or a fail status. If all checks pass, the overall status of the instance is OK. If one or more checks fail, the overall status is Impaired. Status checks are built into EC2, so they cannot be disabled or deleted. Status checks data augments the information that EC2 already provides about the intended state of each instance (such as pending, running, stopping) as well as the utilization metrics that Amazon CloudWatch monitors (CPU utilization, network traffic, and disk activity). Alarms can be created, or deleted, that are triggered based on the result of the status checks. for e.g., an alarm can be created to warn if status checks fail on a specific instance. 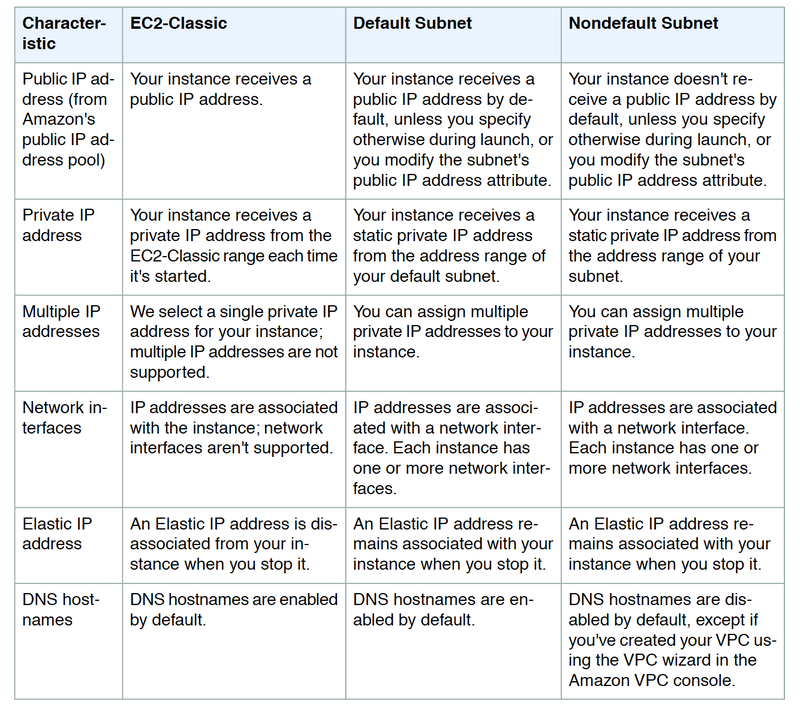 monitor the AWS systems required to use your instance to ensure they are working properly. 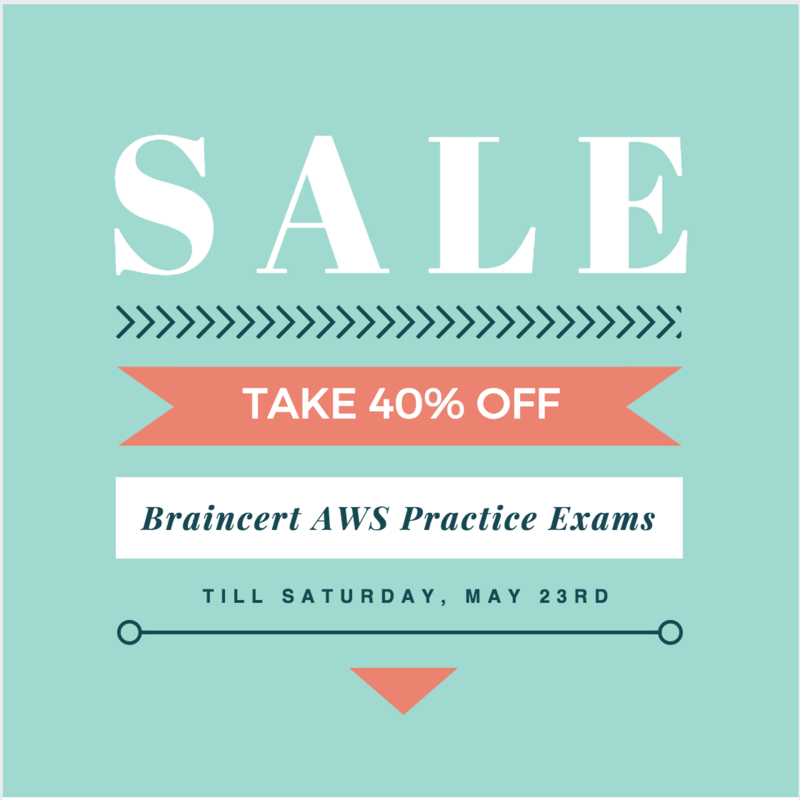 detect problems with the instance that require AWS involvement to repair. checks detect problems that requires involvement to repair. raw data from EC2 into readable, near real-time metrics. the application or service is performing. Detailed monitoring can be enabled on EC2 instance, which sends data to CloudWatch in 1-minute periods. Instances that use basic monitoring are not included in the aggregates. The technique for retrieving all dimensions across an AWS namespace does not work for custom namespaces published to CloudWatch. can be created to monitor any one of the EC2 instance’s metrics. can be configured to automatically send you a notification when the metric reaches a specified threshold. CPU Credit metrics are available at a 5 minute frequency. (Only valid for T2 instances) The number of CPU credits that an instance has accumulated. This metric is used to determine how long an instance can burst beyond its baseline performance level at a given rate. % of allocated EC2 compute units that are currently in use on the instance. This metric identifies the processing power required to run an application upon a selected instance. This metric is used to determine the volume of the data the application reads from the hard disk of the instance. This can be used to determine the speed of the application. This metric is used to determine the volume of the data the application writes onto the hard disk of the instance. The number of bytes received on all network interfaces by the instance. This metric identifies the volume of incoming network traffic to an application on a single instance. The number of packets received on all network interfaces by the instance. This metric identifies the volume of incoming traffic in terms of the number of packets on a single instance. The number of packets sent out on all network interfaces by the instance. This metric identifies the volume of outgoing traffic in terms of the number of packets on a single instance. This metric is available for basic monitoring only. Reports if either of the status checks, StatusCheckFailed_Instance and StatusCheckFailed_System, that has failed. Values for this metric are either 0 (zero) or 1 (one.) A zero indicates that the status check passed. A one indicates a status check failure. Reports whether the instance has passed the Amazon EC2 instance status check in the last minute. Reports whether the instance has passed the EC2 system status check in the last minute. Elastic Compute Cloud (EC2) provides scalable computing capacity in the Amazon Web Services (AWS) cloud. EC2 eliminates the need to invest in hardware up front, so applications can be developed and deployed faster. EC2 can be used to launch as many or as few virtual servers as you need, configure security and networking, and manage storage. EC2 enables you to scale up or down to handle changes in requirements or spikes in popularity, reducing your need to forecast traffic. They don’t exist. The Amazon EC2 AMI tools, instead, are used to manage permissions. They are a set of graphical tools to manage EC2 instances. They don’t exist. The Amazon API tools are a client interface to Amazon Web Services. When a user is launching an instance with EC2, which of the below mentioned options is not available during the instance launch console for a key pair? When a block device is detached from an instance, it is unmounted by the operating system and you can no longer access the storage device. Additional Instance store volumes can be attached only when the instance is launched while EBS volumes can be attached to an running instance. View the block device mapping for an instance, only the EBS volumes can be seen, not the instance store volumes.Instance metadata can be used to query the complete block device mapping. Amazon Web Services provides a repository of public data sets that can be seamlessly integrated into AWS cloud-based applications. Amazon stores the data sets at no charge to the community and, as with all AWS services, you pay only for the compute and storage you use for your own applications. 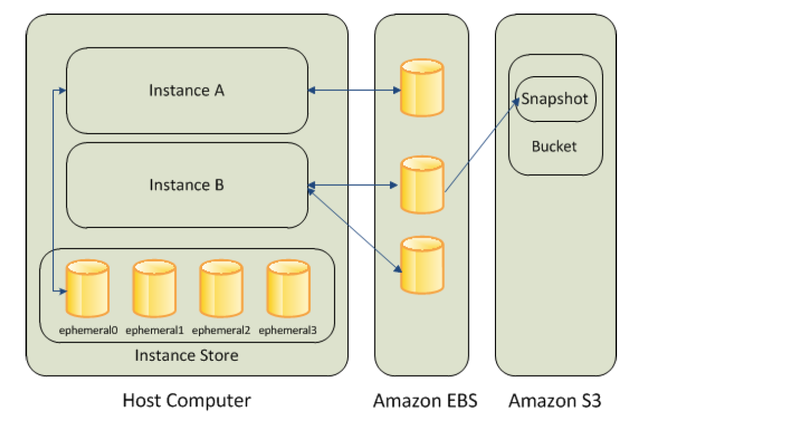 An instance store provides temporary block-level storage for an EC2 instance. Instance store storage is located on the disks that are physically attached to the host computer. Instance store is ideal for temporary storage of information that changes frequently, such as buffers, caches, scratch data, and other temporary content, or for data that is replicated across a fleet of instances, such as a load-balanced pool of web servers. An instance store consists of one or more instance store volumes exposed as block devices. Size of an instance store varies by instance type. Virtual devices for instance store volumes are ephemeral[0-23], starting the first one as ephemeral0 and so on. While an instance store is dedicated to a particular instance, the disk subsystem is shared among instances on a host computer. Instance store volumes are included as part of the instance’s hourly cost. Some instance types use solid state drives (SSD) to deliver very high random I/O performance, which is a good option when storage with very low latency is needed, but the data does not need to be persisted when the instance terminates or you can take advantage of fault tolerant architectures. After an instance is launched, the instance store volumes for the instance should be formatted and mounted before it can be used. Root volume of an instance store-backed instance is mounted automatically. Because of the way that Amazon EC2 virtualizes disks, the first write to any location on an instance store volume performs more slowly than subsequent writes. Amortizing (gradually writing off) this cost over the lifetime of the instance might be acceptable. The data on an instance store volume is lost when the security group rule of the associated instance is changed. A user has launched an EC2 instance from an instance store backed AMI. If the user restarts the instance, what will happen to the ephemeral storage data? When an EC2 EBS-backed instance is stopped, what happens to the data on any ephemeral store volumes? A user has launched an EC2 Windows instance from an instance store backed AMI. The user has also set the Instance initiated shutdown behavior to stop. What will happen when the user shuts down the OS?